The first working 3D printer was created in 1984 by Chuck Hull. Today, 3D printing technology has made an impact on various industries. It has many advantages over traditional printing that makes 3D printing a unique and most sought way of printing for the most of the businesses. 3D printing enable to create 3 dimensional solid object. The object of any shape can be created with a digital modeling. In this process thin layers of material are deposited one after another and a unique peace of design is formed. Recently people started making anything they like with the help of 3D printers. Mostly the technology is used in business and service sectors. Jewellery is one of such business where design is an integral part of it. The major advantage of 3D printing for jewellery industry is of manufacturing custom jewellery for clients at low cost. Before the advent of 3D printing technology, the custom jewellery would cost more money and consume more time to manufacture. Jewelry with complex designs require a practicum where liquefied metal put into molds to form varied shapes and costs plenty of bugs, while the same piece of jewellery can be made with comparatively low cost using these 3D printers. The use of 3D printing technology in the field of jewellery helps to create various kinds of unique miniature pieces of jewellery items. Therefore, the use of 3D printers for jewellery has proved as an essential entity for business owners as well as customers. 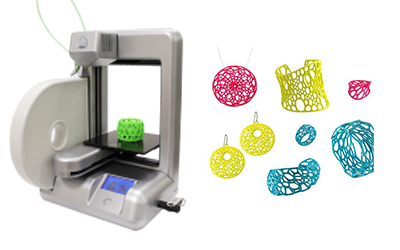 Also, availing quality 3D printers also become essential for the buyers. 3DIGIPRINTS is a startup Company backed by Industry professional with extensive knowledge. We are the authorized re-seller for 3D systems and focus on providing affordable and most advanced 3D Printers and 3D printing services to customers in India through direct sale and Print services online.